I have been writing poetry for as long as I can remember and even published them on a blog I used to have separate to this one. I have been getting back into writing poetry because it has always soothed me. As a teenager I had my poems published on TeenInk. My poem Daddy I Miss You featured as the number one poem on the website 43 times. My poem Beautiful won Editors Choice award for “an exceptional piece”. Poetry has been a huge part of my growth both in terms of achievement and healing. I wrote this one five years ago as a part of my creative writing assignment at university. 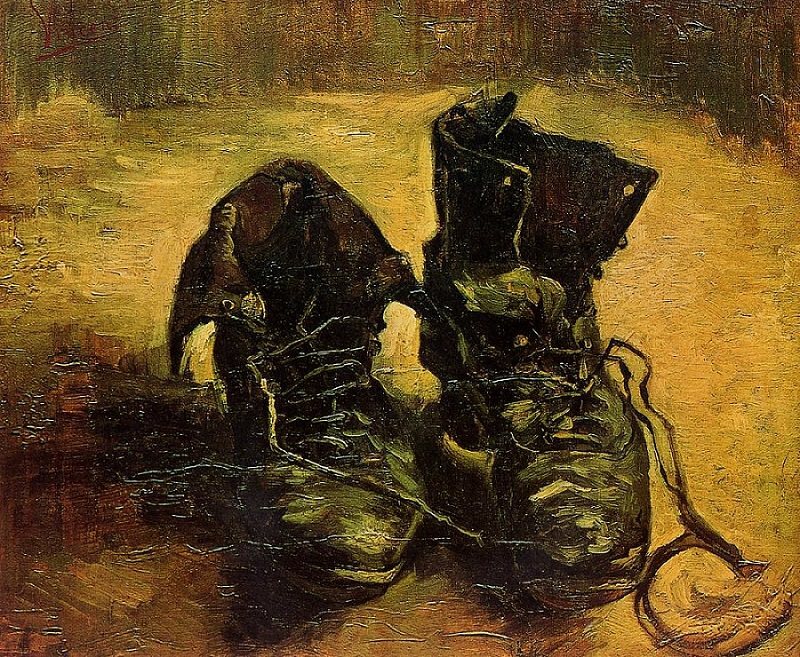 It is an ekphrastic poem inspired by Van Gogh's shoes. Reading this is taking me right back to my impressionist art obsession. I can't wait to share some of my new work with you. Accusingly, I have used the life out of them. They are too stubborn to lift, defiant. Dig into my flesh leaving blue stains. A little present to my soles. Life is yellow. Blue is death. And laughs at me when I stumble. At sunset I drop them with a groan. The rigid stems refuse to seam through. It is believed that van Gogh bought these shoes at a flea market so I mentioned his walk through "the markets". van Gogh spent a lot of money and time on his paintings and was eventually unable to afford to buy food. He was not well-off and this is clear in his deteriorating shoes. Another one of his paintings called A Wheatfield with Crows is believed to be one of his last paintings before he took his own life and he seemed to have painted a lot of wheatfields. I couldn't help but get excited about that and incorporate it so it is as if he walked through the wheatfield with these boots, "There was the Wheatfield. A feather from a crow" and concluded it with his death, "Blue is death" and "Yellow is life". The shoes fight with him throughout and he is eventually unable to continue on with them, his life.